One of our longest standing clients. 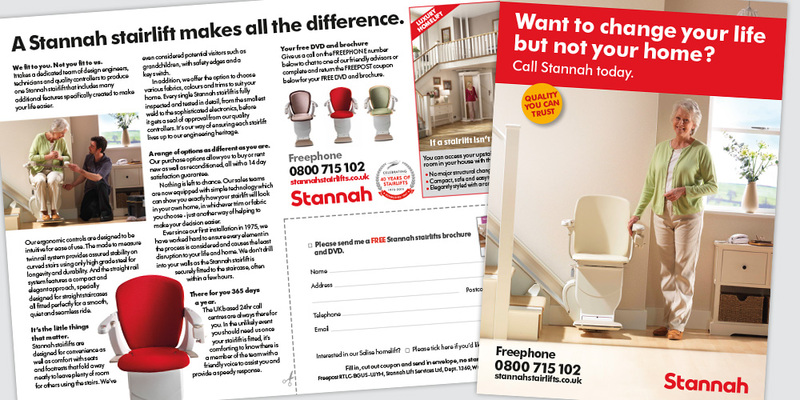 We have been working with Stannah on their consumer communications for a number of years. 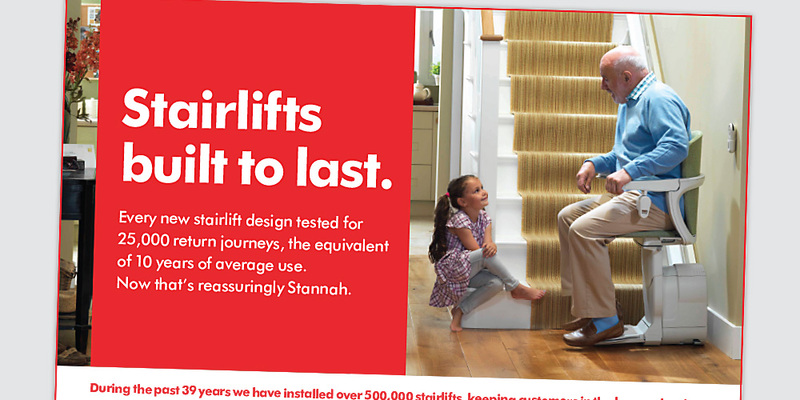 We plan and buy all of Stannah’s media across all channels and manage the creative origination, artwork and production of marketing materials for stairlifts and homelifts in the UK. We are constantly looking to drive media rates down, response rates up and maintain low costs to maximise their media budget. I have been fortunate enough to work with some incredible agencies over the years, from the biggest names to one-man bands, and I can honestly say that Precision is a stand-out among them. They are entirely focused on delivering what I need, no matter how that changes. They regularly drop new ideas into the pot and never veer off track. Everything is analysed and reported in the greatest detail and they are just as ambitious as I am in terms of the results they deliver. They are a lovely team and a great agency!